Registration for Indian national qualifier open for BMW GS Motorcycle owners in India. The winning team of the Indian national qualifier to compete at the BMW Motorrad International GS Trophy 2018 in Mongolia. Indian national qualifier for BMW Motorrad International GS Trophy will be hosted in Goa from 26-29 October 2017. The best three participants of the Indian national qualifier will go forward as a team to represent India in the final at the BMW Motorrad International GS Trophy 2018 in Mongolia. Those lucky – talented – three will then be fully equipped by BMW Motorrad for the adventure ahead, flown to Mongolia and each presented with a brand new personalized BMW GS motorcycle to ride for the duration of the event. Registration for the Indian national qualifier is open for all BMW GS Motorcycle owners in India. The BMW Motorrad International GS Trophy 2018 will be held in Mongolia for 10 days: 7 days riding + 2 days in- and outbound journey + 1-day briefing). The GS Trophy is not a race, but the special stages confront the participants with a major physical and mental challenge: often described as the adventure of a lifetime. It is a competition wherein riders enjoy a near-2000km adventure ride, mostly ridden off-road. 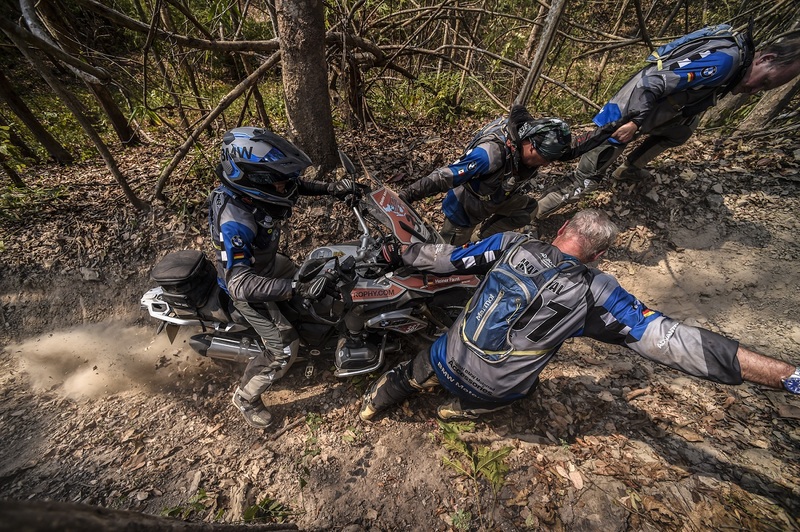 Along the way they compete in a series of challenges that are consistent with the BMW GS lifestyle and designed to exercise their intellectual, riding and navigation skills, their knowledge of, and ability to live in, the natural world – and their ability to come together as a team. The Indian national will be held every two years in India. The Indian national qualifier is open to all non-professional BMW GSMotorcycle riders. The Indian national qualifier typically replicates the challenges of the International GS Trophy and will be multi-day competition with riders scoring points, leading to a final where the top scorers will compete for the three team positions. The winning team of the Indian national qualifier will compete against teams from Argentina, Australia, Brazil, Canada, China, France, Germany, Japan, Latin America, Mexico, Russia, Southeast Asia, South Africa, South Korea, United Kingdom and United States of America at the BMW Motorrad International GS Trophy – Central Asia 2018 in Mongolia. Registration for the Indian national qualifier can be made by visiting BMW Motorrad website. Every participant needs to take part in the GS Trophy Qualifier with any BMW GS model which has to be registered to the participant. The bike has to be in good technical condition. The organisers are entitled to exclude vehicles that are obviously defective. All riders must be dressed completely in suitable rider gear that is in good condition.